Rhythms of the Goddess Seasonal Journal is full of myth and magick and all the sacred (and witchy!) wisdom that you need to attune your season to Goddess. It will be released every quarter with prompts to inspire re-membrance of Goddess and practices to work magick in our everyday lives. Our first online course edition was Summer 2017. Goddess Spirituality is about rhythm … the rhythm of our bodies, the rhythm of our lives, and the rhythm of Goddess in nature. 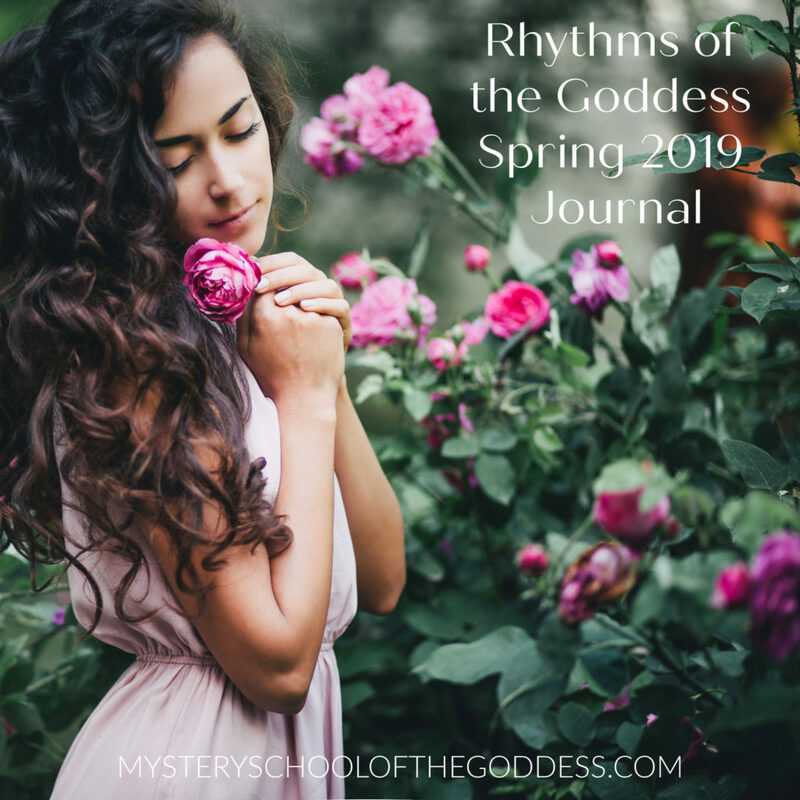 Rhythms of the Goddess Seasonal Journal moves us into a wholistic connection with our Selves, the world around us, and Goddess. We sync in sacred ways to our WomanRoots and the Sacred Feminine Source deep within us. We invite the magickal into all aspects of our lives and tap our inner Priestesses. We dance with Goddess and embrace Her blessings through our thoughts, dreams, actions, and manifestations. 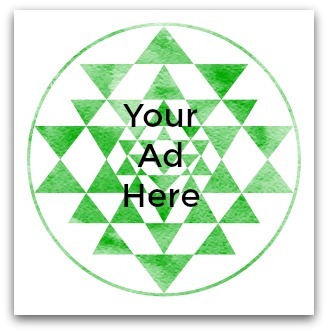 Your investment for Rhythms of the Goddess is $33 per season or $99 for the year (you get a season free if you pay annually!). You may registration anytime and the prompts and practices will be available that came out prior to registration. JOIN LIVE CALL FOR LAKSHMI SPRING EQUNOX AS BONUS! Register here for just SPRING for $33 for 3 months of prompts! Rhythms of the Goddess Spring Journal is all about purification and renewal. We are releasing the bonds of winter and preparing to step into the NEW of Spring. This is a DIVINE RESET that synchronizes with Spring Equinox and the lead up to special Goddess HolyDays coming. The deep inner work of winter has laid the foundation for the growth of our vision seeds. Our intentions are ready to bloom and we work with the potent Goddesses of Spring to manifest. 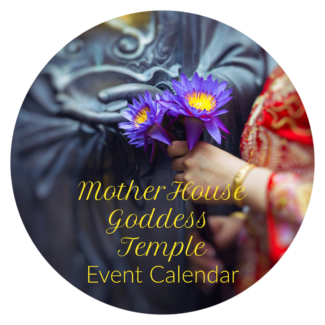 You are invited to join in the celebration of the Rhythms of Goddess for Spring, to acknowledge and sync with Goddess on Her Holy Days and to bring forward ancient magick to our present experience. 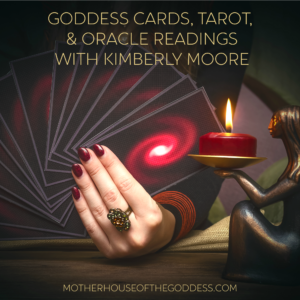 ANNUAL subscriptions receive a 3 Card Goddesses of Spring reading with recording! Each Month – March, April, May, PLUS FEBRUARY AS A BONUS! 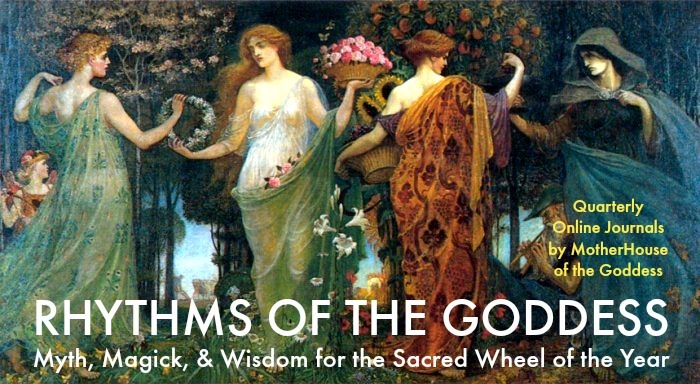 Myth – Featured Goddesses for Spring: Lakshmi, Tara, Demeter and Kore, Kuan Yin, Nut, Cailleach, Luna, Fortuna. Venus, Yamuna Devi, Bast, Ceres, Gaia, Flora, Mother Mary, Sita, Sheila Na Gig, Artemis, Bhadrakali, and more! Magick and Wisdom Practices: Spring Equinox Renewal Ritual, Ascent of Kore, Earth Day, World Water Day, Beltane, Month of Mary’s, and more. 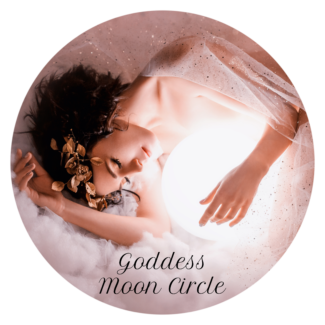 Plus, Gaia Medicine, Divinations, Lunar Cycles, Guided Goddess Meditations, Tips for Goddess Practices, and more! Wow, thank you!! I’ve been involved wiith the Goddess for thirty years now but learning so much more from you. and I’ve shared on my Facebook page for others to enjoy.